I was recently asked, by a farmer-settler in Israel, for my views on the best dog breed to act as a farm-guard or property protector. I told him of the top-class shepherd dogs now being bred by the Thames Valley Police Dog Section here in England, the fine dogs being produced by the Tornabene kennels in Colorado - both impressive working Neapolitan Mastiffs and remarkable 'bandogges' excelling on 'man-work', the outstanding specimens of that French pastoral breed, the Beauceron and the high quality Boerboels being bred by a Belgian kennel, run by Sonia Morgan and her husband Bart Verheyen. I did however advis e against choosing a breed but to select the best performing individuals whatever their breed; some kennels produce the best individuals in their chosen breed, far too many use the reputation of a breed to offset the lack of consistency in their particular output. Breeds don't guard property, individual dogs do. 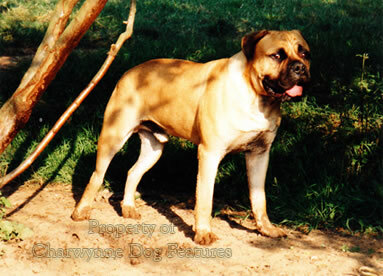 After some researches of his own, the Israeli farmer chose to use Boerboels from the Belgian kennel. He will be using them on unfenced land where children often roam and their safety was a factor in his choice. 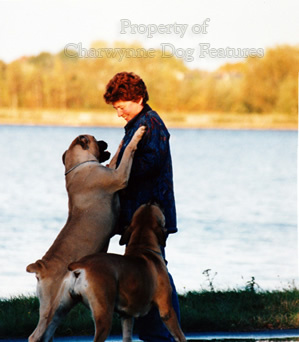 I will follow the progress of his Belgian-bred Boerboels with great interest. The Mastiff group, which embraces the Bullmastiff, the Neapolitan Mastiff and the Boerboel, possesses a priceless instinct, handed down from their development and use as seizers in the medieval hunt. Their instinct to seize and hold make them ideal guard-dogs, I've heard it said that a burglar might get into a house guarded by them but he wouldn't get out! Before the Great War, Count VC Hollander, who knew a thing or two about dogs, recorded this little incident: "...Mr and Mrs Bennett had gone to a party, leaving the children in the charge of the maids. A man forced his way into the house; one of the maids loosed a dog, a bullmastiff, who held the man from nine o'clock in the evening until Mr. and Mrs. Bennett returned in the early morning." A good guard-dog acts when it needs to act and should never bark all day or launch itself at fences in mock fury. Over-confidence as a dog trainer too is not without its perils. 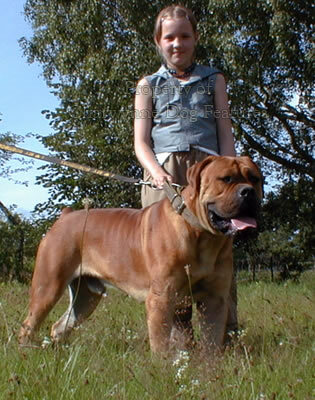 A decade ago, a Bullmastiff/Mastiff expert, international judge and author on these breeds, ended up trapped in his own bedroom, having taken refuge there, after being 'over-protected' by his Neapolitan Mastiff, his first dog in this breed and one not brought up by him. 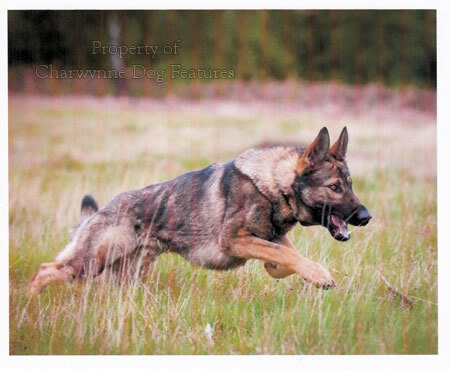 Knowing your own limitations as a trainer of dogs is simply vital when you are dealing with big dogs with a protective nature and an unverifiable past. That is why so many of the boastful paraders of the so-called 'status dogs' come unstuck, sometimes sadly with tragic incidents to answer for.The protective instinct in dogs can be an admirable one; without firm and enlightened training by a knowledgeable owner it can misfire. 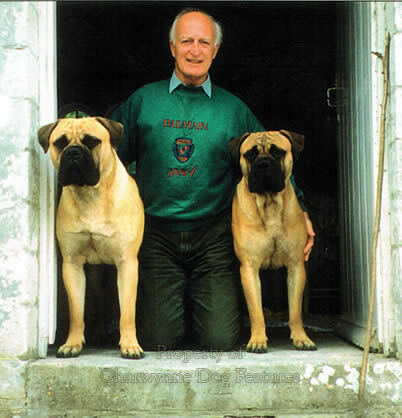 One of my Bullmastiffs once reacted immediately when a neighbour's dog lunged at me - out of exube rance not aggression - by seizing the errant dog's head and just holding it! No bite marks or damage of any kind were left on the neighbour's dog's head, just saliva - and the neighbour was impressed not cross. Your dog has to have the broad mouth of a Bullmastiff to achieve such a feat - one I gently trained mine to discontinue, although his instinct was sound! As a patrol-commander in the Malayan Emergency, I sometimes used a Labrador as a tracker and an Alsatian (as they were then known) as an anti-ambush dog. My leading scout was a young trainee-gamekeeper doing his National Service. 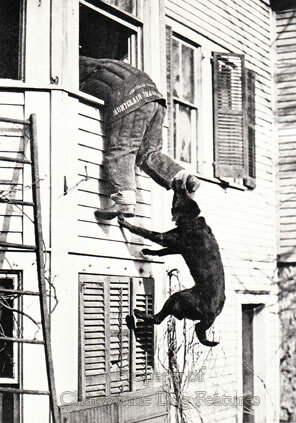 He and the dog-handler made a great team but a dog with a developed protective instinct would not have been of value in such a scenario. Looking back, with more knowledge and experience, I'd have chosen different breeds for each task but not a mastiff breed with the inbuilt protective instinct; it might have looked the part but would have been quite unsuitable for that role and terrain. If you need guarding, first know your breed!